Pizza Rev sits not too far from the corner of Laurel Canyon Boulevard and Ventura Boulevard in Studio City. 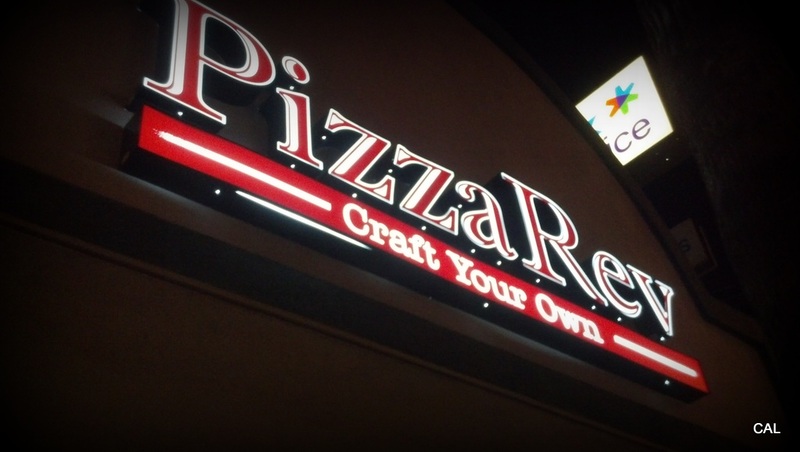 Its motto: craft your own pizza. My motto: I’ll take everything on mine! Interestingly, the decor reminds me a lot of Chipotle, down to the buffet style ordering set-up as you move along in line to build your own pizza, starting with their homemade dough. 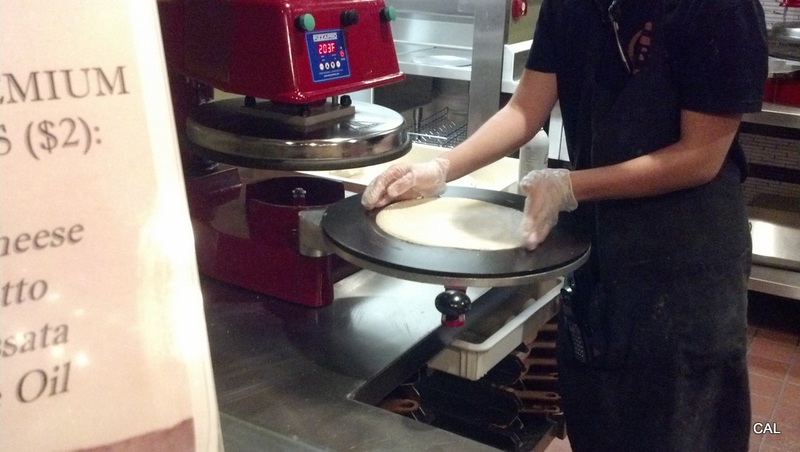 Next, choose your cheese, choose your sauce, and then choose your toppings. The thrilling thing about this place is that for $7.95 you can put ANYTHING you want on your personal sized pie. The sky’s the limit. 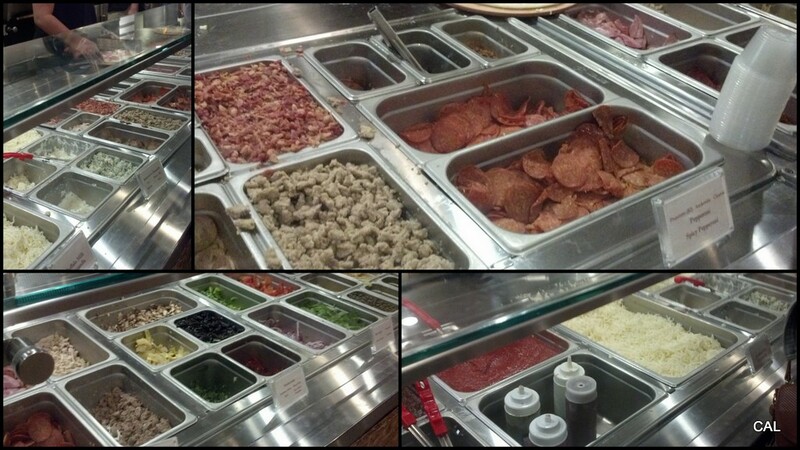 Naturally, I went overboard as one does with a buffet of toppings to choose from. 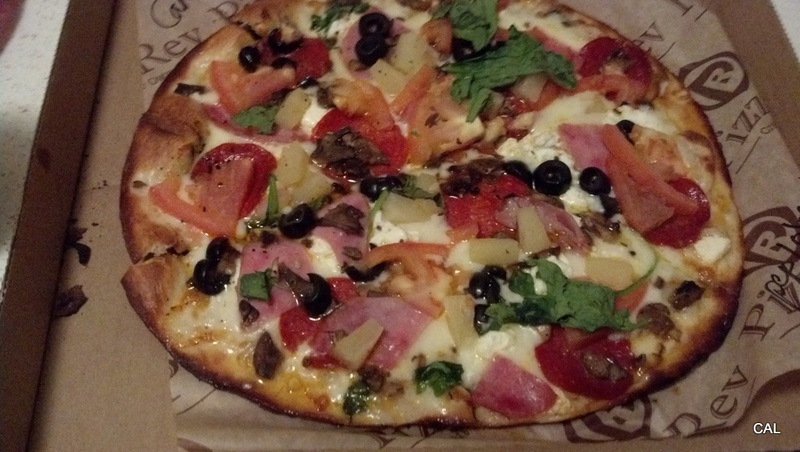 For our gluten-free friends, Pizza Rev has you covered. 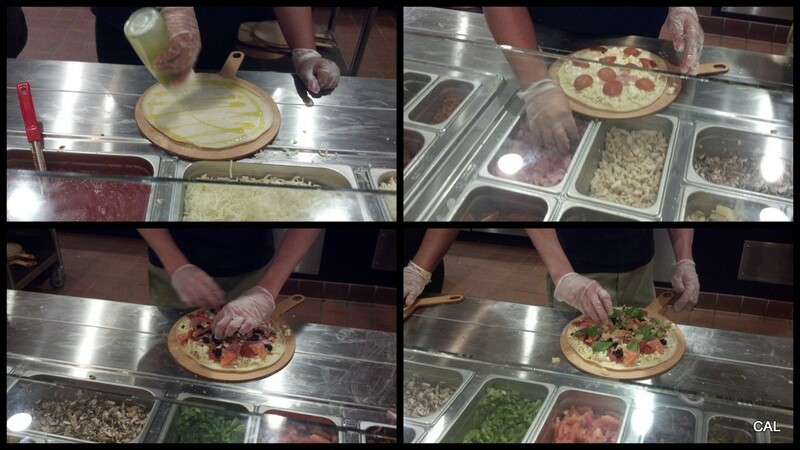 While a small $2.00 increase comes with ordering their wheat free crust, unlimited toppings more than make up for it. If you’re too tired to create your own (and who in the world would these people be?) you can also order from their “Our Way” menu and stick with the basics. 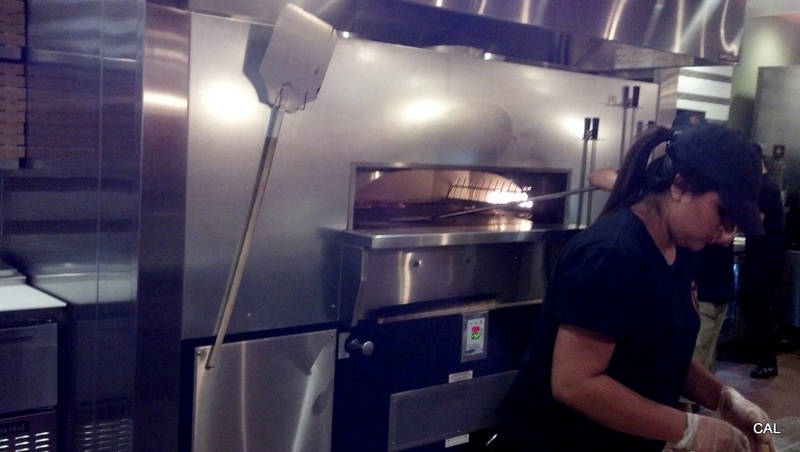 A short wait while your custom designed pizza cooks in their open deck oven and you’re out the door. I crafted a regular dough pizza with olive oil, mozzarella, feta cheese, ricotta, all beef pepperoni, ham, spinach, tomato, mushroom, pineapple, and black olives! Told you, I went overboard, but O.M.G. was it delish! !